AMD announced their Star Wars: Battlefront promotional bundle two months ago with the Radeon R9 Fury graphics cards. 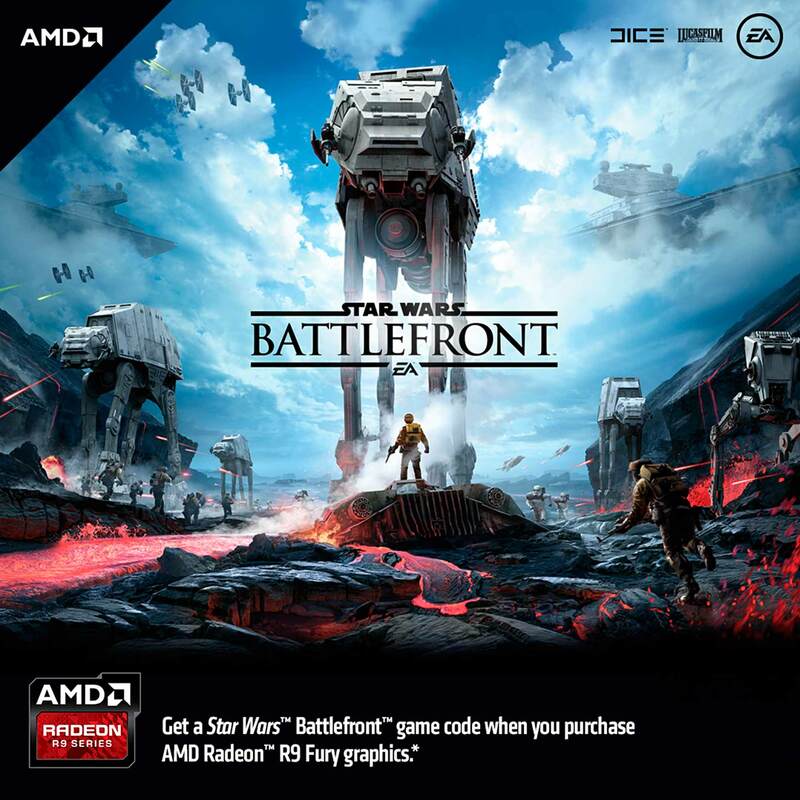 The promo lasted till 31st December however AMD has decided to extend this promotional bundle till 31st March 2016, enticing Radeon users with a copy of DICE’s latest Battlefront game based in the Star Wars universe. 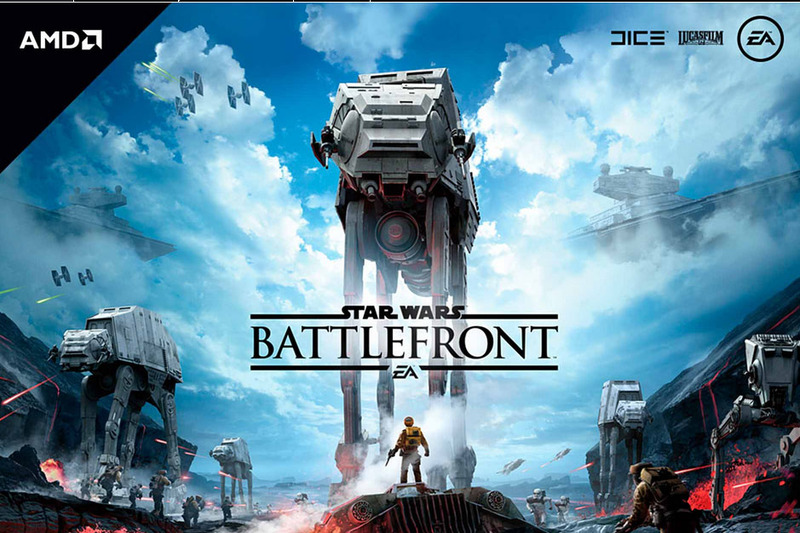 Star Wars: Battlefront is the latest game to be based in the Star Wars universe and the third installment of the Battlefront series. The game made by DICE has launched today and scored a mix set of reviews ranging from 6 to 9 from various gaming sites but all in all, its a Star Wars game made with the gorgeous Frostbite engine that runs great on PCs. The multiplayer game has several maps and modes to choose from and iconic heroes from the Star Wars universe to select from. The game is a must buy for any Star Wars fan and I believe that there’s a large gaming community that loves and follows Star Wars. Just like every other DICE game, Star Wars: Battlefront makes use of the latest Frostbite 3 engine with updated visuals. 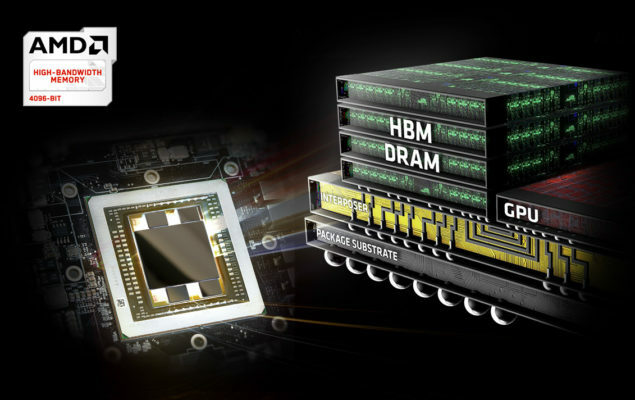 Technically speaking, the Frostbite engine is optimized for AMD’s GCN core architecture and it was also the first engine to make use of AMD’s Mantle API. A next generation and forward thinking solution to get rid of CPU bottlenecks so that graphics hardware isn’t limited from its true potential. The benefits of this API were added to both Vulkan and DirectX 12 APIs which are on the road to become the next iteration of fast APIs for the PC industry. Previously, the bundle was only available to Radeon R9 Fury graphics card buyers but AMD is now offering the promo with their flagship Radeon R9 Fury X graphics card. Both cards come with 4 GB of HBM memory along side the Fiji graphics core which is the the top of the line GPU powering AMD’s current generation of graphics cards. The only Fiji based graphics card which is not applicable to this promo is the Radeon R9 Nano however, AMD had recently announced a massive price cut for the Nano which now retails at $499 US. The extension of this promotional deal comes just a week after NVIDIA announced that they will bundle Rise of the Tomb Raider with their GeForce cards (The first Tomb Raider that came in 2013 by Crystal Dynamics was bundled with Radeon cards).